Wonder Wallet is quick and easy to make. 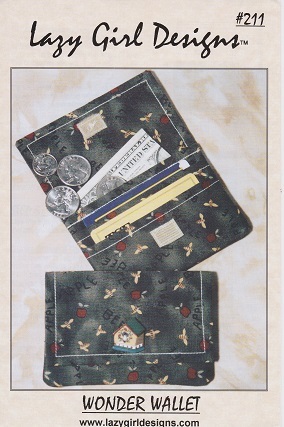 It’s loaded with pockets for all of your cards, coins and cash and doesn’t require a zipper. That’s right, this wallet has a coin pocket with out a zipper! Dollar bills and checks folded in half fit comfortably in this cute little wallet. Great gift for someone special.